It’s a piece of advice yogis have given for thousands of years: take a deep breath and relax. Let the tension melt from your muscles and all your niggling worries vanish. Somehow we all know that relaxation is good for us. As meditation has become more well-known in the West, scientists have begun to quantify the many physical benefits in hundreds of studies. A regular meditation practice can help you to feel better, reduce stress , improve your focus and concentration, give you better memory, and even begin to heal your body at the cellular level. Sounds pretty enticing, right? The problem for most people is finding the time to meditate. We have busy lives. Who has time these days to sit and do nothing? Even if you do have have the time, meditation can be difficult. Perhaps you have tried to meditate and have found it impossible to quiet your mind. This is the experience for most people starting out. 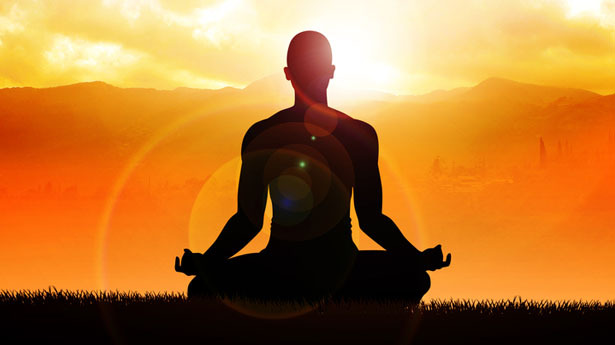 To top it off, to enter deep meditation can take years of practice. Who wants to wait years to actually get good at something even if there are tremendous benefits? What if there was a way you could quickly enter into deep meditation and do it without effort? What if you could begin reaping the many benefits of meditation immediately while spending as little of your time as possible? An advanced sound technology called brainwave entrainment produces an effect similar to meditation but is different in one significant way. It’s fast. If you are looking for a way to quickly improve concentration, reduce stress, and increase creativity, it doesn’t get any easier than using entrainment technology. While it is high-tech, the science of brainwave entrainment is easy to understand, once you know a few basics. Beta: Occurs when we are alert, afraid, or tense. Alpha: Occurs when we are aware but physically and mentally relaxed. Theta: Occurs in that drowsy state we experience just before falling asleep. Delta: Occurs when we are soundly asleep. The most desirable mental state is the theta state. This is the state that you are after when meditating. Anytime you feel like you’re “in the zone“, you’re in a theta state. Likewise for those times you feel deeply connected to another person, to nature, or have a spiritual experience. Can you see why this brainwave state is worth striving for? So how can we quickly and effortlessly enter this state? The key is entrainment. The phenomenon of entrainment was discovered by a Dutch scientist over four hundred years ago. He noticed that his room full of pendulum clocks synchronized automatically. Even when he intentionally disrupted their rhythms, they would always re-synchronize. He called this phenomenon entrainment. Since then, there has been a lot of research on entrainment and it has been found to commonly exist in nature. Fireflies entrain their flashing and frogs entrain their croaking. You entrain every time you hear a musical beat that has you bobbing your head or tapping your foot. When you go to a concert, everyone is entraining with the music, and with each other. Pretty amazing, right? Why Use Brainwave Entrainment Software? When you listen to sounds of a certain frequency, your brainwaves will synchronize with that frequency. By using brainwave entrainment software or CDs, you are able to get your brain into a desired state at will. Brainwave entrainment is a shortcut to get the desired effects of meditation without the time, dedication, and patience required by traditional meditation. Brainwave entrainment therapy delivers specific sound frequencies to your brain and create the desired brain state. The only requirement is that you listen with stereo headphones or ear buds. It’s as easy and automatic as can be! It’s been compared to “push button meditation” or “meditation on demand”. Sounds kind of hard to believe right? There have been many scientific studies showing that entrainment technology is highly effective. And what if you can receive all of the benefits of meditation by simply listening to an audio track? That would be pretty life-changing, right? The best way for you to find out if this technology works is to try it our for yourself.